This multi detection set reflects years of experience in hundreds of missions. Whether „state of the art“ digital equipment or traditional RF transmission technology. From wired bug to radio transmission with digital encryption. 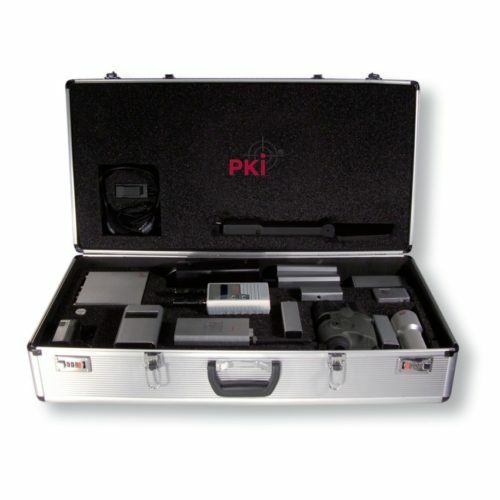 Whatever there is to be detected – you will not miss it when using this multi detection system. When compiling this system, special consideration was given to the practical suitability in use. The different detectors of the multi detection system allow you to quickly get an overview of possibly existing surveillance technology. A subsequent exact location of the detected technology can also be realised with these detectors. Even already inactive or disconnected surveillance technology can be found by the corresponding detectors. Delivery in a stable carrying case incl. all necessary accessories, such as battery charger, rechargeable batteries, adapters and operating manuals. Please find the exact specifications of the individual devices in the relevant device description in our catalogue. On your request, we would like to deliver this selection assorted on the basis of years of experience in another combination, too.